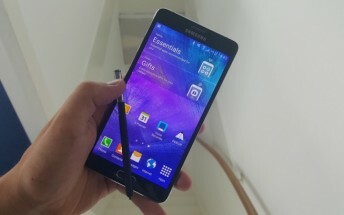 Samsung will unveil the Galaxy Note 5 on August 12, according to a new report, which also says that the device will be accompanied by the Galaxy S6 edge Plus smartphone, which will be launched as Galaxy S6 edge+. Both devices will go on sale beginning August 21. The report also reveals some interesting details about the devices. It says the Galaxy Note 5 won't feature a microSD slot. And in terms of design, the handset will be what it calls a "blown-up version" of the company's Galaxy S6 flagship, but with an extremely thin screen bezel. The device will be available in silver, gold, black, and white color options. In addition, the report notes that the S Pen will also undergo some design changes, making it look more like a pen. Also, it will be of the same color as the handset. As for the S6 edge Plus, the report says that the phablet will be powered by an Exynos 7420 SoC instead of a Snapdragon 808 chipset as was being rumoured earlier. It will come with 3GB RAM. Last but not the least, the report also says that the South Korean company will also launch its mobile payments service Samsung Pay in the US on August 12.